There was nothing pretty about the 15-14 Kentucky win over Missouri on Saturday. 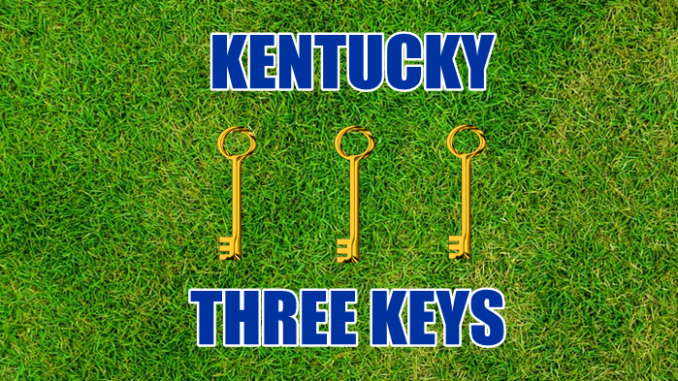 The Wildcats defense held a free scoring Tigers offense to just two touchdowns, while the Kentucky offense had just enough spark to get over the line on the final play of the game. It sets up a game against No. 6 Georgia on Saturday that might be the biggest in the history of the school. The Wildcats beat Missouri last time out because the Tigers couldn’t find a way to put them away. They slowed the game down, making it ugly and a grind, and managed to hang around until they can stole the game with a flurry of plays late. It is an old tactic, but it is one that is still viable even in this high octane era of college football. Kentucky runs the ball well, the Wildcats have a defense they can count on, and (crucially) they execute what they set out to do on offense and defense at a very high level. Kentucky needs to find a way to keep Georgia close. Whether this is by a higher scoring output than we are used to or a number of turnovers on defense doesn’t really matter. If the game stays close into the fourth quarter then it is advantage Kentucky. The Kentucky defense is playing at an all-world level. In the second half against a Mizzou team that can move the ball on anyone, the Wildcats allowed exactly zero first downs as they gave their offense a chance to get going..
Fromm looked comfortable and controlled last time out against Florida as he passed for 240 yards and three touchdowns. He has completed at least 70% of his passes in all but two games this season, with the LSU contest (47% completions, one touchdown, two interceptions) being by far his worst outing. 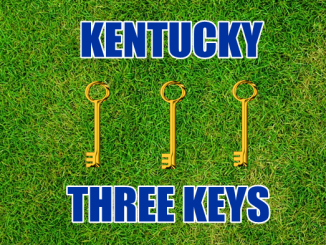 It is the LSU game that will be of interest to Kentucky fans as the Bulldogs one loss on the year came in a game where their quarterback was bogged down by a high level defense offset by a killer running game. The Kentucky defense ranks in the top 15 nationally against the pass and they will be coming after Fromm to try to knock the Georgia quarterback out of his rhythm. The key for Fromm will be to avoid the killer mistakes, trusting that his offense will have too much for Kentucky over the course of 60 minutes. Snell is the heartbeat of this offense. Teams facing Kentucky know that Snell will be running the ball at them all day long, with the Wildcats looking to run the ball upwards of 40 times (with Snell taking the majority of those carries) for the offense to work properly. Knowing it is coming is one thing. Stopping it is another entirely. Snell is 65 yards shy of 1,000 this year with nine touchdowns. This comes on the back of a 1,333 yard, 19 touchdown season in 2017. These numbers are even more impressive when you consider Snell has no quarterback to keep teams honest, so he is often facing nine in the box defensively. Keeping the offense on the field for the defense to rest will be important. To that end, Snell has to be lights out in this one.